In this article, you'll find common rosacea triggers as well as ways and solutions to help you to adopt coping techniques that will help keep your skin clear. Think protecting yourself from triggers is too hard and takes too much time? Not true—check out this list for our tips. Sun. By far the most common trigger for rosacea symptoms, the sun should be considered enemy number-one when it comes to your skin. Best solution: An umbrella. Sunscreen is great too, but you need something that will block the rays even if you sweat, or even if you forget to reapply at two hours. 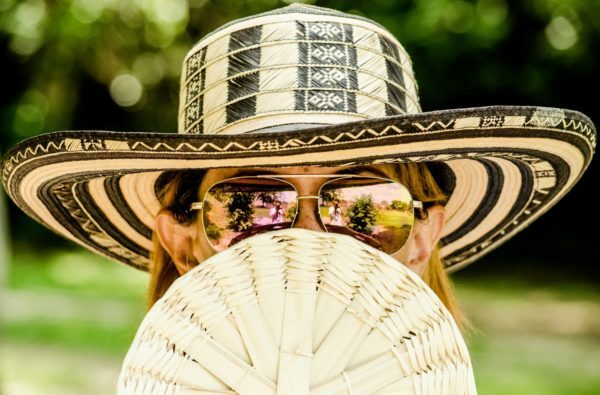 Recent studies have indicated that umbrellas will block over three-quarters of damaging UV rays, with black-colored ones blocking over 90 percent. Get used to taking one with you wherever you go, and you’ll never have to flush from the sun again. Stress. The second most common trigger, according to a Rosacea Society survey, stress can quickly ruin all your efforts for clear skin. Best solution: Tapping. It’s easy, it costs you nothing, and you can do it anytime, anywhere. You simply tap certain energy points while speaking statements about your feelings at the moment. Similar to acupuncture without the needles, it creates amazing results. Read more at Renegade Health. Hot weather. Another common trigger, the heat can get you flushing in a hurry. But if you’re in a humid climate, outside with your family, or enjoying a day at the beach, how do you cool down before your cheeks look like cherries? Best solution: Drink ice water. Staying cool on the inside helps your skin stay cool, too. Keep sipping it to keep your temperature down. Wind. Wind stresses skin, drying it out and assaulting it with dirt particles and other environmental pollutants. Many rosacea sufferers are easily wind-burned, particularly in the winter. Best solution: Scarves. You can wear them any time of year, and pull them clear up underneath your eyes for as long as you’re outside. Plus, there are so many styles and materials these days, you can make a real fashion statement with them! Vigorous exercise. A good workout is great for your body, but may not be so good for your skin. About half of rosacea sufferers will flush after a work out. Best solution: Break it up. You can get the same health benefits from short bursts of vigorous activity as long ones. In fact, some studies have shown this method to be more effective for weight loss and cardiovascular health. Try 5-10 minutes of cycling, for instance, where you burn it as hard as you can every other minute. Check your skin and adjust for your personal reactions. Alcohol. About 50 percent of those with rosacea will flush after drinking alcohol. Best solution: Avoid it, or try non-alcoholic cocktails. Skin care products. Over 40 percent of individuals struggling with skin redness and inflammation experience reactions to certain skin care products. Best solution: Avoid harsh chemicals. Choose only natural-based products with real ingredients that you can pronounce that don't make your flare ups worse. In my experience (and others, I have read) extra virgin coconut oil worsen the rosacea condition. Cold pressed jojoba- (in particular) or avocado facial oil, are much safer to use for all skin types. They do not clog your pores or disturb your skin, but is calming and softening.